Give your home the makeover it deserves. 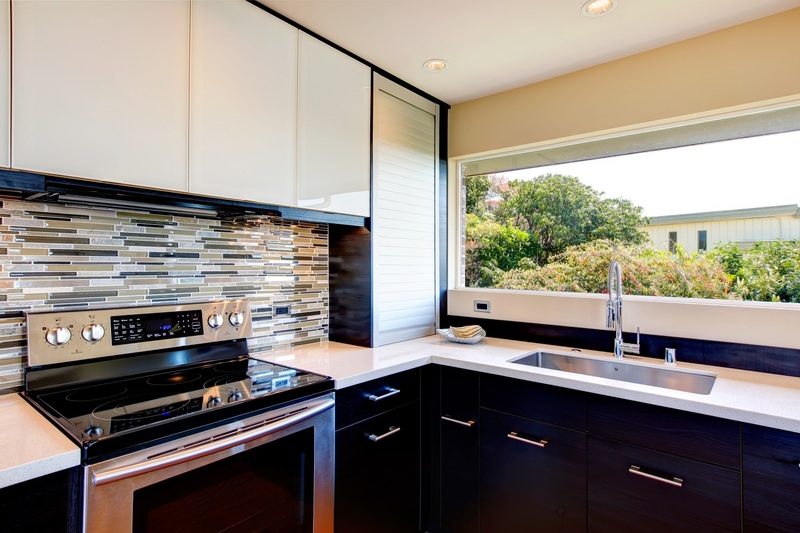 Whether you’re looking for a major overhaul or a minor project this year, consider starting with kitchen and bathroom remodeling. These rooms may be intimidating, but remodeling these two areas of your home can have the most dramatic impact on the value, look and functionality of your entire home. Consider your budget and the type of project you’re looking to accomplish. Remodeling a bathroom is typically less expensive than a kitchen, but remodeling both rooms gives you the most dramatic renovation. Determine your budget and time frame, and talk to a local contractor about where to begin. Whether you need to take down a wall to let it breathe or switch up the style to give it a whole new look, consider which layout works best for your lifestyle and your home. Major Renovation or Minor Upgrade? 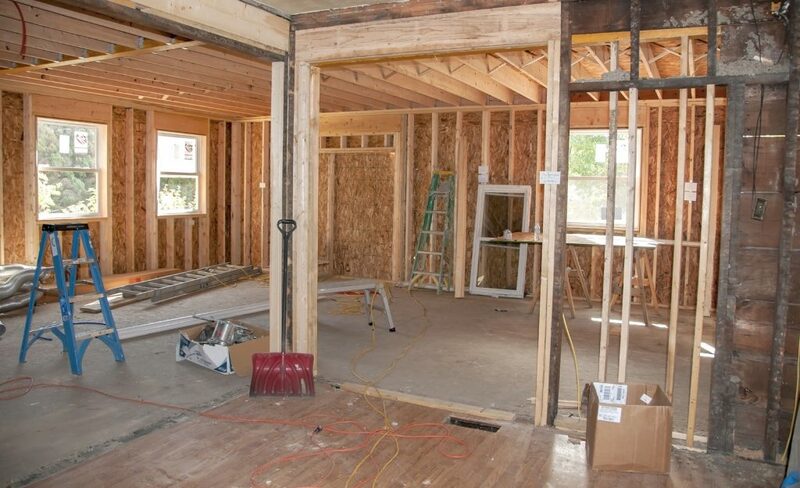 Once you have your dream renovation plan in mind, it’s time to take a look at your budget. Don’t just consider the financial aspect, but also the time you have available. Remember that both kitchen and bathroom remodeling have a major impact on the value of your home. Major work includes completely replacing all the cabinets, fixtures, flooring and changing the layout. 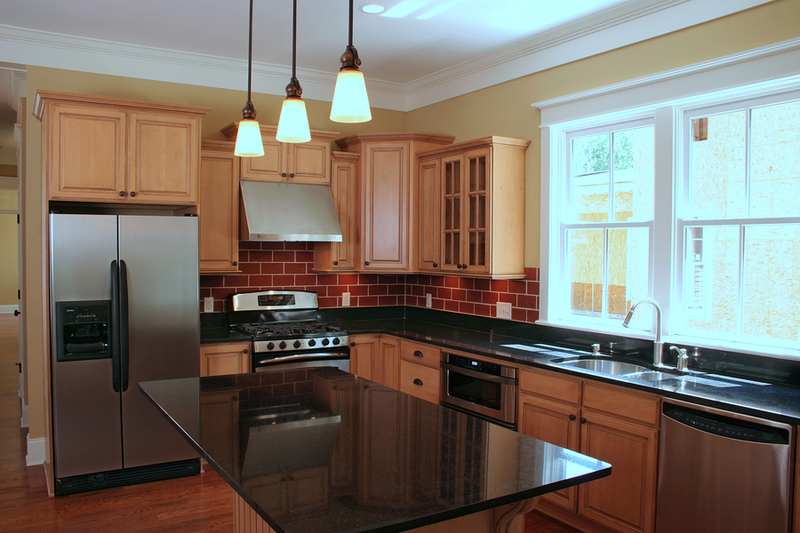 A minor remodel might include a new light fixture, coat of paint and new hardware for your kitchen cabinets. Whether you’re going all-in or looking for a more conservative approach to kitchen and bathroom remodeling, it’s important to hire a professional. These two rooms include the biggest risks for water and electrical damage in your home. 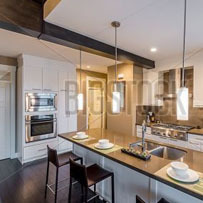 If you aren’t a professional electrician or plumber, it’s best to hire a professional to ensure your dream comes true without any accidents or damage to your home. The look and feel of your home are growing more outdated by the second, or maybe you’d like to expand your home to accommodate for storage or an aging loved on moving in. Either way, there’s a lot of thought, time, and attention that goes into nailing a home remodel or home addition. 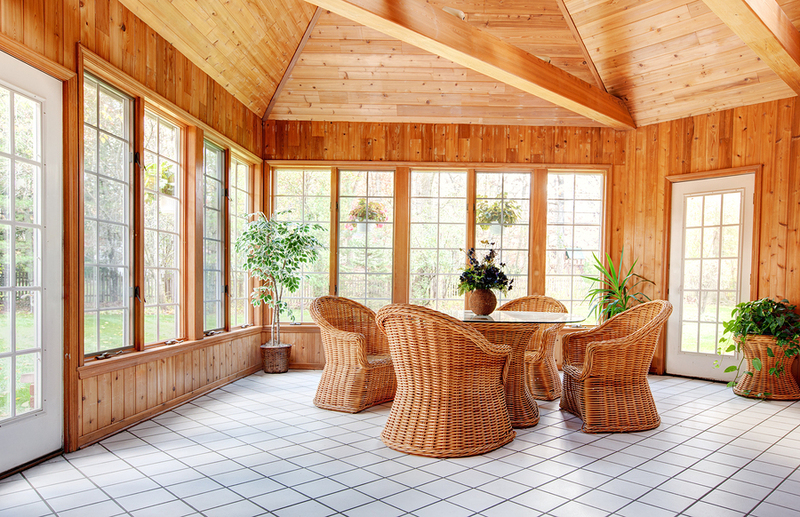 Learn what you can do to give your residence a refresher that you’ll love, adds to its value, and saves you as much as possible. If you’re aiming for the biggest return on investment, focus on your kitchen and bathroom. It’s not unusual to hear of homeowners recovering anywhere between 75 and 100% of the cost of renovating their kitchen or bathroom. You’re better off focusing on minor upgrades or home additions that offer the most ROI. For instance, new fixtures and a new coat of paint can do wonders. Adding a shower or half bathroom to your residential property could meet your needs and increase the value of your home. To truly bring out the best in your remodeling project, you’ve got to work with reputable and well-experienced professionals. It’s in your best interest to ask for references and images of past remodeling or addition projects from contractors and remodeling companies you’re thinking of working with. That way, you have a solid idea of what you can expect in regards to final results. If you have an older home, it could require special attention to upgrade it while maintaining its overall functionality. Before planning a major overhaul, look into taking steps to reduce potential health issues and hazards within your home. For instance, your current ducts and air filtration systems could lead to allergy problems and compromise your indoor air quality. Additionally, your electrical system could need upgrading to save money and reduce the risk of an electrical fire breaking out. 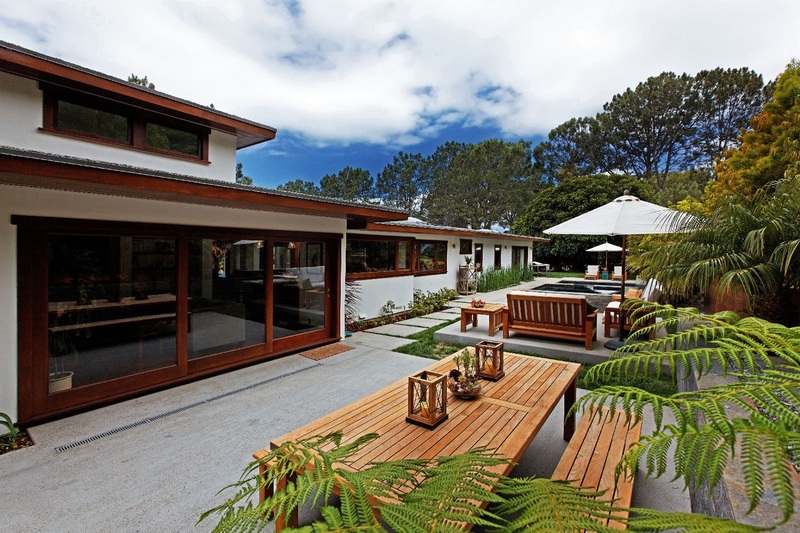 Proper planning and order of importance are essential when it comes to home additions and remodels. Work with experienced professionals to learn what kind of upgrades to make to your home and when to make them. 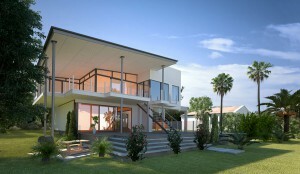 Many people move into houses with the expectation they will change certain features eventually. Over time, some homeowners realize they need to build entirely new rooms to accommodate. Growing families will benefit greatly from an extra room. However, home additions are extensive endeavors. You need to be prepared even if the room is going to be relatively small. Whether you want to build onto the kitchen, dining room, living room or a bedroom, keep these points in mind. You do not need to do a lot to a room to make an impact. A bay makes for a wonderful focal point while adding a lot of natural light. Bays also allow you to put in more seating. You can include some storage space under the seating, and suddenly, you have much more room to benefit from. Bays provide cozy niche areas that open a room, so you can bring more guests in. Many houses have roofs that extend far beyond the exterior walls. If you already have this in place, then it becomes much easier to create a new addition. 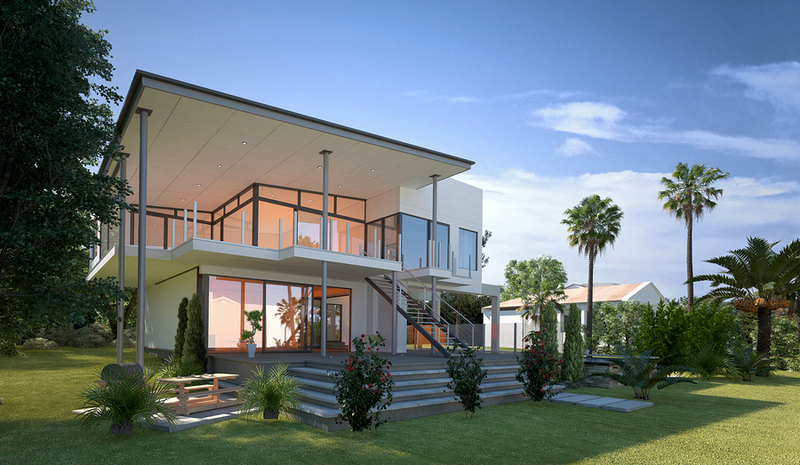 For homeowners without overhanging roofs, you will need to build a roof to accommodate the new structure. This will add to the final cost, so make sure to keep track of how much you are spending for everything. You may want to enlarge a certain room. Instead of building outward, you should try utilizing the space you already have differently. For example, you may want a larger bedroom and do not mind having a smaller bathroom. You can take a couple feet from the bathroom to build onto the bedroom. It may not seem like much, but it can make a big difference. Always hire professionals when you want to build home additions. You need to talk with your contractor to make sure what you want is feasible and advisable. When you’re thinking about buying a home, you have many different options, such as choosing between an existing home or a new construction. 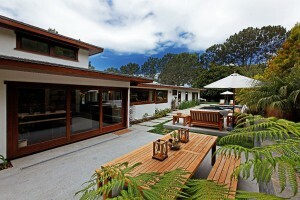 Every property has its own strengths and weaknesses that go along with it. No one can tell you whether you should buy a brand-new home or an older property. You will have to make the decision based on what is important to you. However, newer homes and older homes tend to have similar qualities, so before you make a decision one way or the other, you should have a broad idea of what you can expect from both. 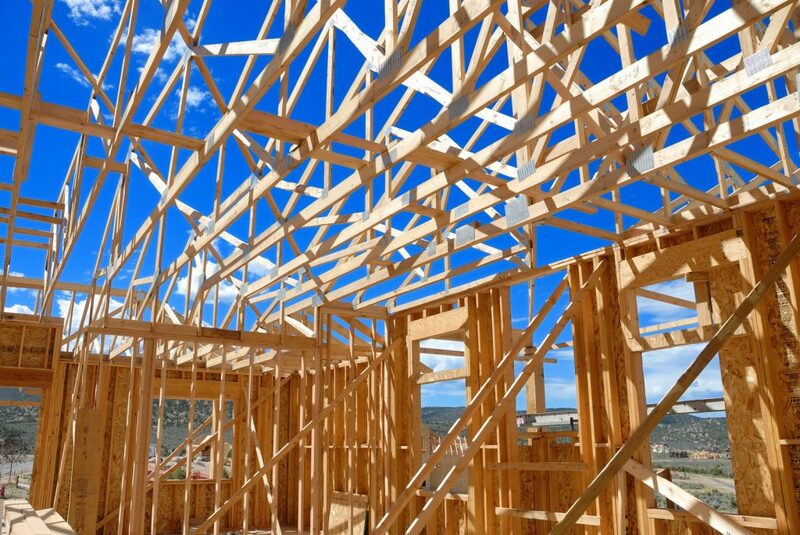 New construction homes usually cost more than existing homes. In part, this is because you often have to purchase everything: appliances, window treatments, sod for the lawn, etc. On an existing property, many of those fixtures are already in place, so you don’t have to worry about them. Though the initial cost may be higher, however, buying a brand-new home may save you money in the long run because they are typically more energy efficient, meaning lower monthly bills, and require less maintenance and repairs for at least the first 5 to 10 years, during which warranties may still apply. A new construction home often means a new neighborhood as well, and while it can be exciting to watch a new development grow, there’s also something to be said for an existing home in an established neighborhood. In particular, the trees are typically mature enough to offer shade in an established neighborhood, whereas you’ll have to wait a long time for young trees in a new neighborhood to grow. If mature landscaping is important to you, and you anticipate moving again within the next 10 to 20 years, an existing home may be a better choice. New construction is an umbrella term that applies not only to homes recently built and never lived in but custom homes constructed especially for you. A drawback of a specially built home is that you have to wait for it to be completed, but a benefit is that you get to customize it according to your wishes. 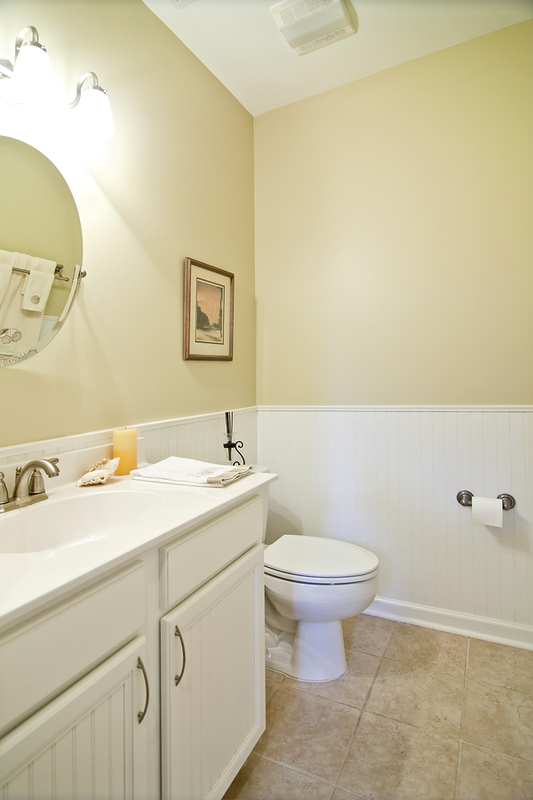 A bathroom remodeling project can be immensely satisfying on a personal level. You are creating an oasis, your own retreat where you can go to relax, recharge, and escape from the world, at least momentarily. However, even if your head is in the clouds, dreaming of the perfect, spa-like bathroom, be sure to keep your feet on the ground. There are practical considerations that you also need to keep in mind as you plan your remodeling project. First, you have to remember the purpose of the bathroom. Water is a necessary, ever-present component, and you need to ensure that the materials you choose can withstand not only day-to-day moisture but unexpected leaks and overflows. Second, think about resale value. A good bathroom remodel can add to the value of your home. However, a remodeling job that’s either poorly done or too over-the-top for potential homebuyers can detract from the value. Here are some tips to make your bathroom remodeling project satisfying and successful from both an aesthetic and practical viewpoint. You can install new fixtures, like tubs, sinks, and toilets, but there’s very little, if anything, you can do about the existing layout. Those fixtures have to go where the plumbing is. A remodeling professional can help you realize your vision while working with your existing layout. Softer colors that lean toward the pastel palette are more soothing. You’ll find it’s more relaxing to soak in a hot tub at the end of a long day if your bathroom color palette is muted. Bold colors and/or busy designs in a bathroom are not likely to appeal to potential buyers, so having them in your bathroom could hurt your resale value. The choice is up to you, of course, but muted colors in the bathroom make both practical and aesthetic sense. It is always important to keep sufficient lighting on the bathroom mirror. Both you and potential buyers will appreciate this. A bathroom remodeling project can cost anywhere from $10,000 to $30,000, but a smart remodel by a professional offers you a good return on investment. Remodeling kitchens and bathrooms with soapstone countertops can be a great way to add value to a home. Soapstone has a wide variety of uses with different degrees of hardness, but the hardest mineral slaps may make excellent countertops for several reasons. Not only can soapstone slabs be extremely durable and dense, but they can also age well. The natural slab occurs in shades of gray that may include undertones of blue or green, making the color suitable for many color themes. Bathrooms and kitchens are most likely two of the rooms in your house that you use the most. Think about how many times a day family members and guests use the restroom, wash hands, or take a shower. Consider the kitchen being used for three meals a day in addition to snacks. The kitchen might also be where you do projects with kids or where you keep your family calendar and schedule. With so much traffic in and out of these two rooms, bathroom and kitchen remodeling could be just what your home needs. 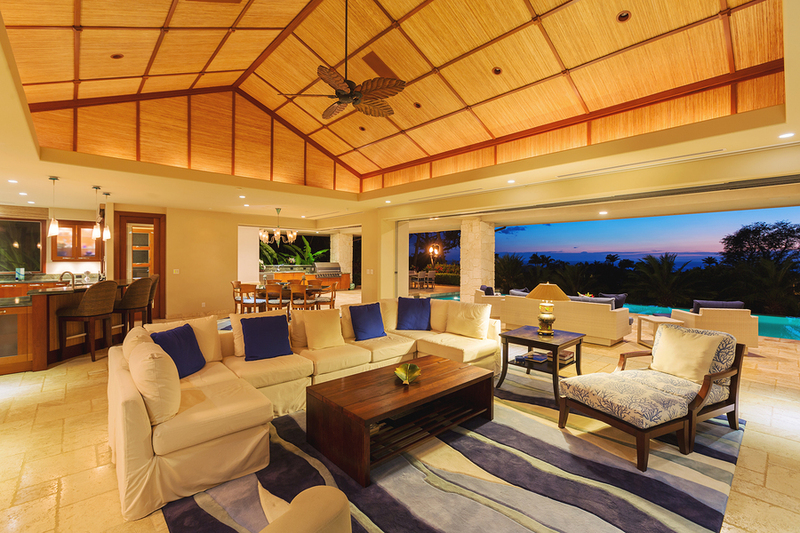 Three problems that point to the need for remodeling are location, space, and efficiency. There comes a time for every homeowner where they feel they may have outgrown their home’s space and style. Instead of picking up and moving, consider investing in one of these worthy home additions that will improve your living space while also adding great value to your property.